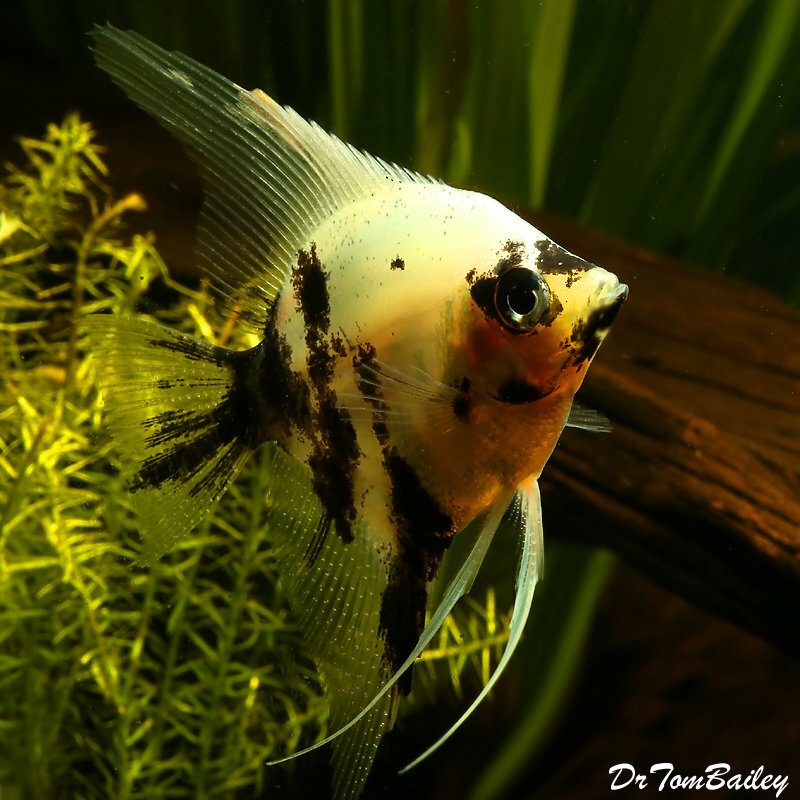 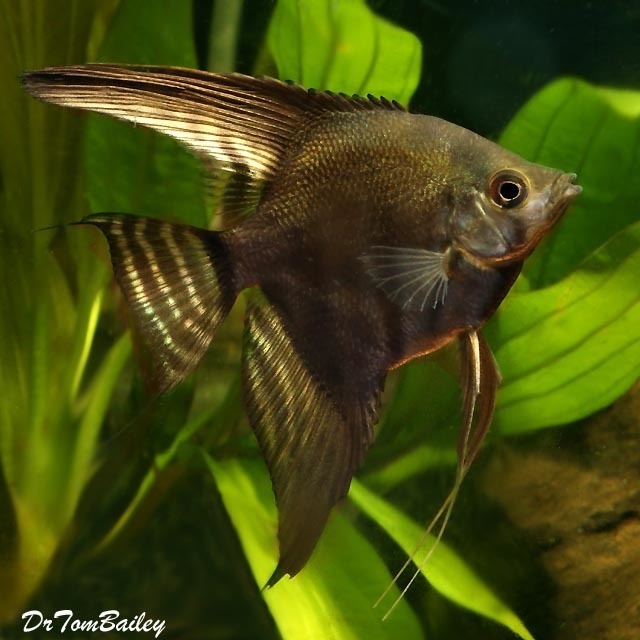 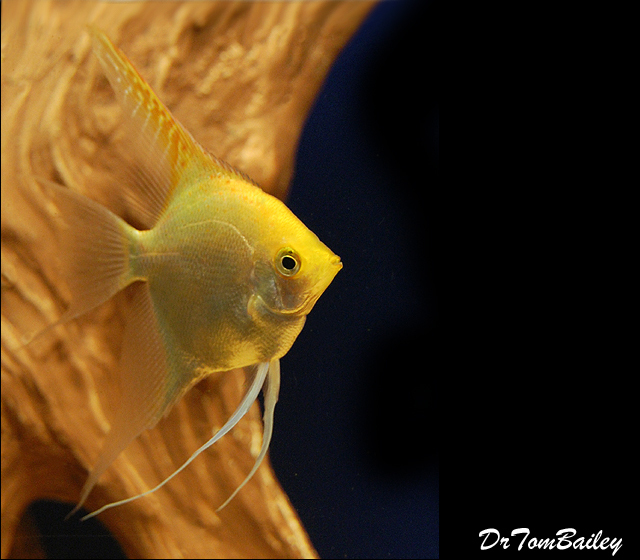 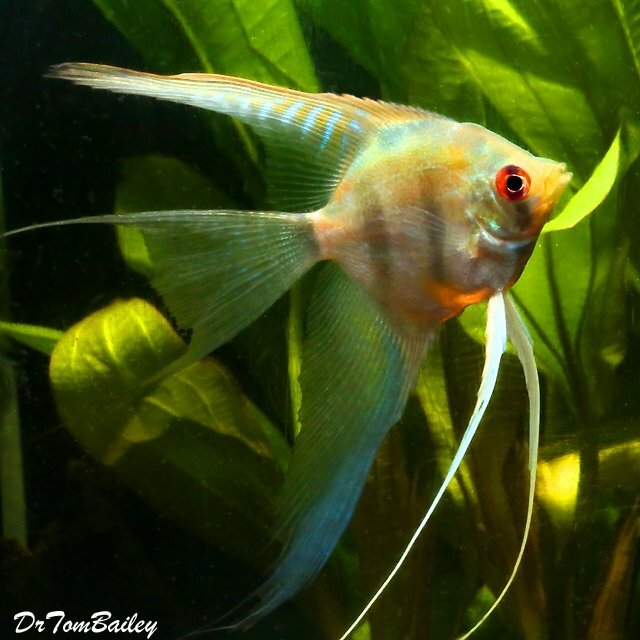 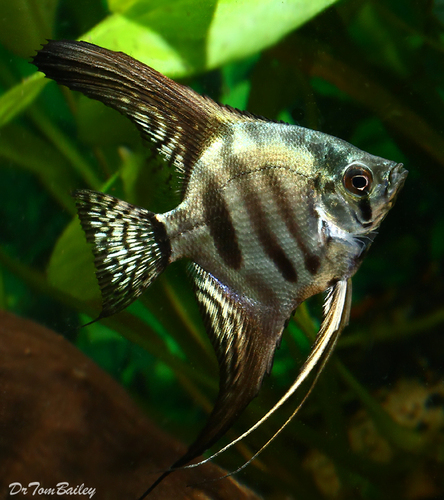 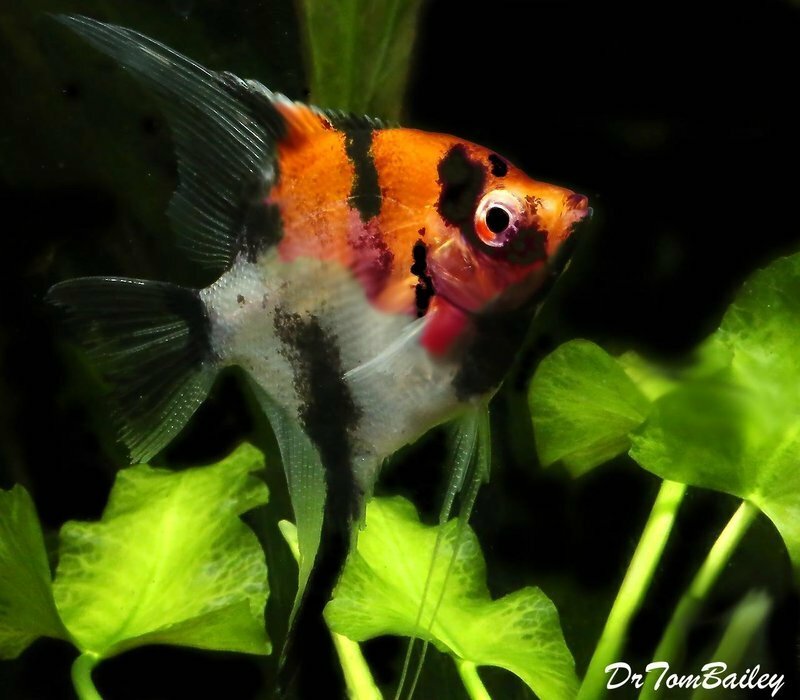 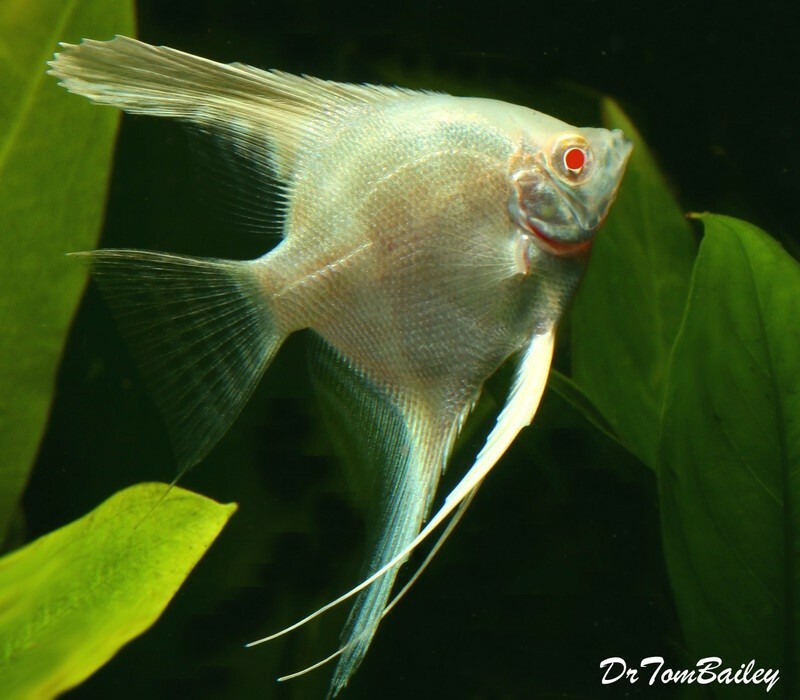 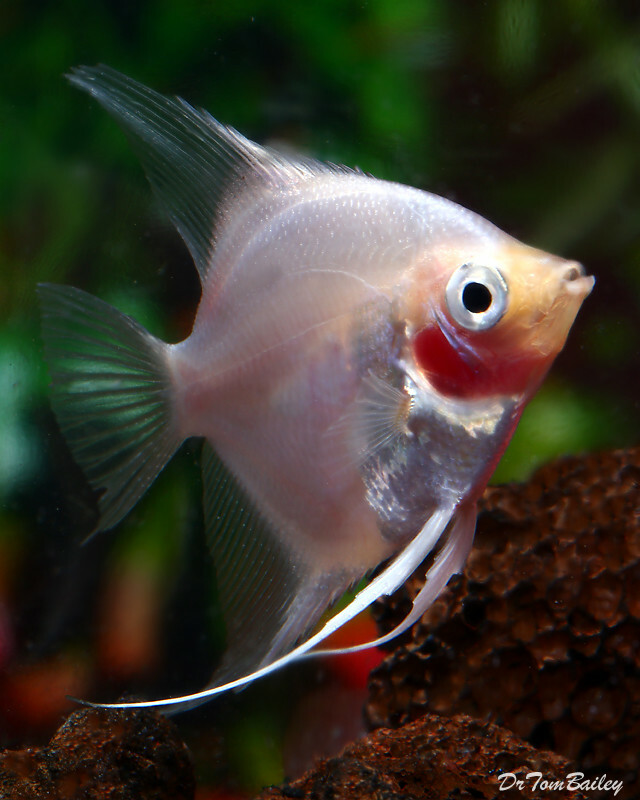 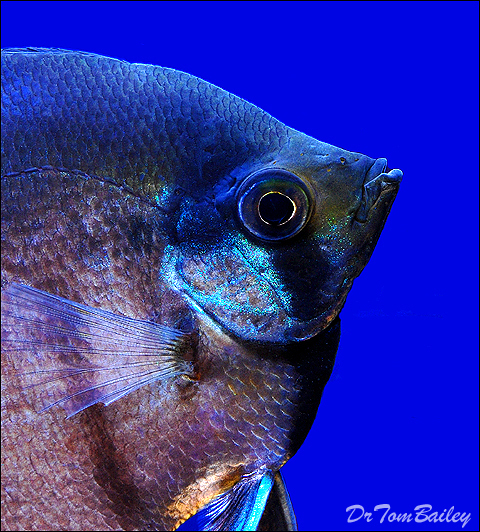 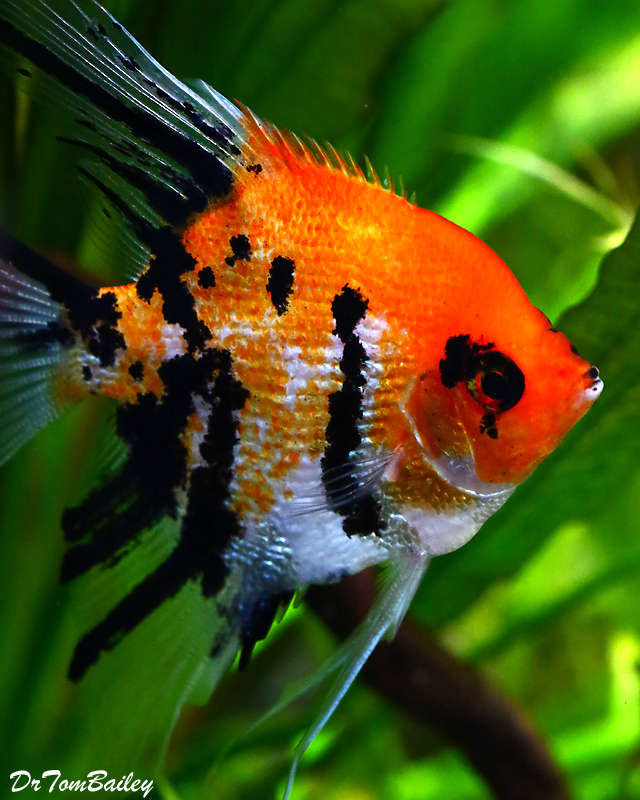 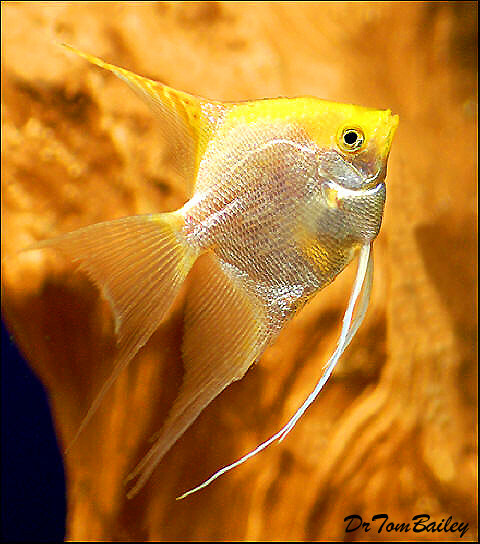 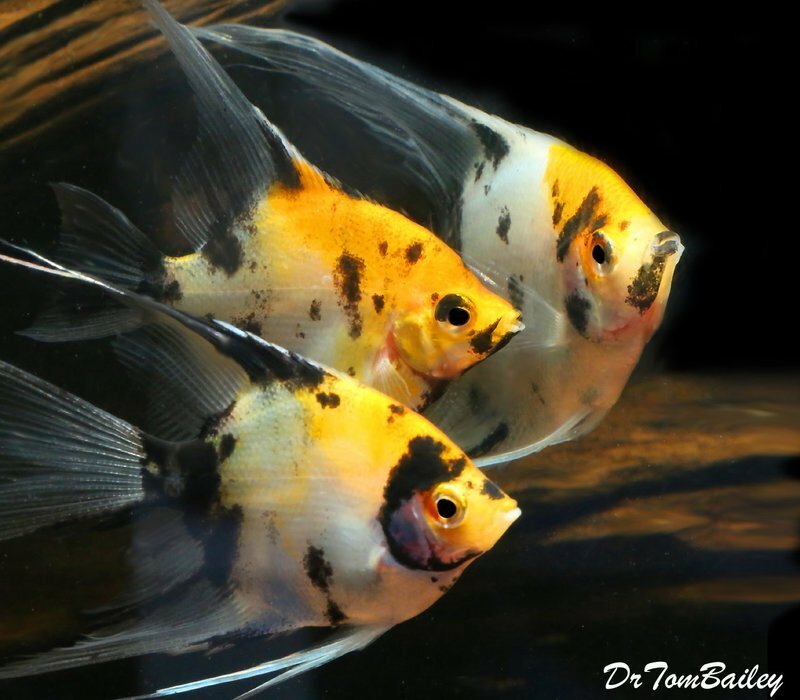 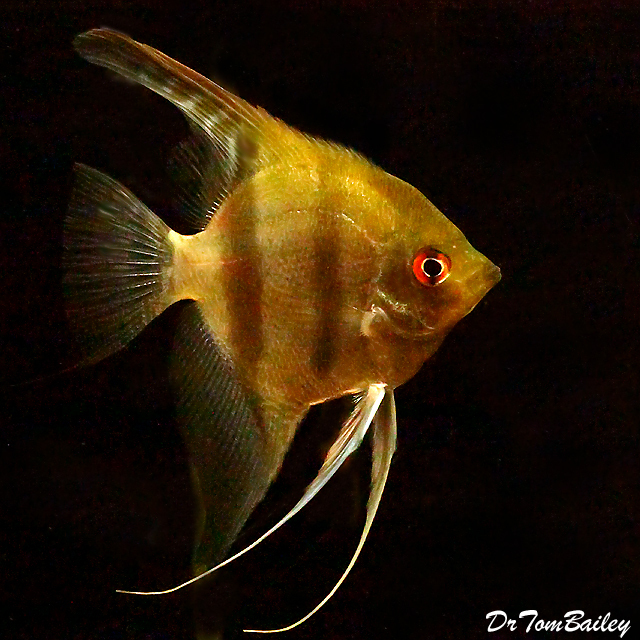 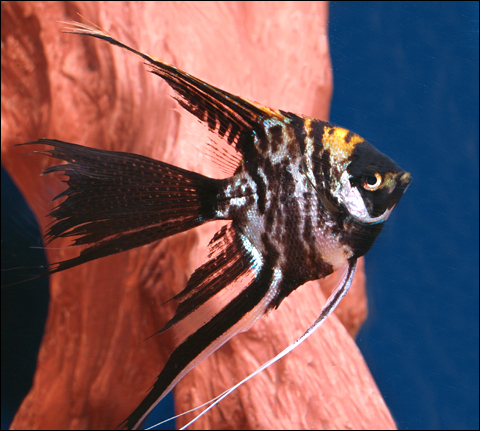 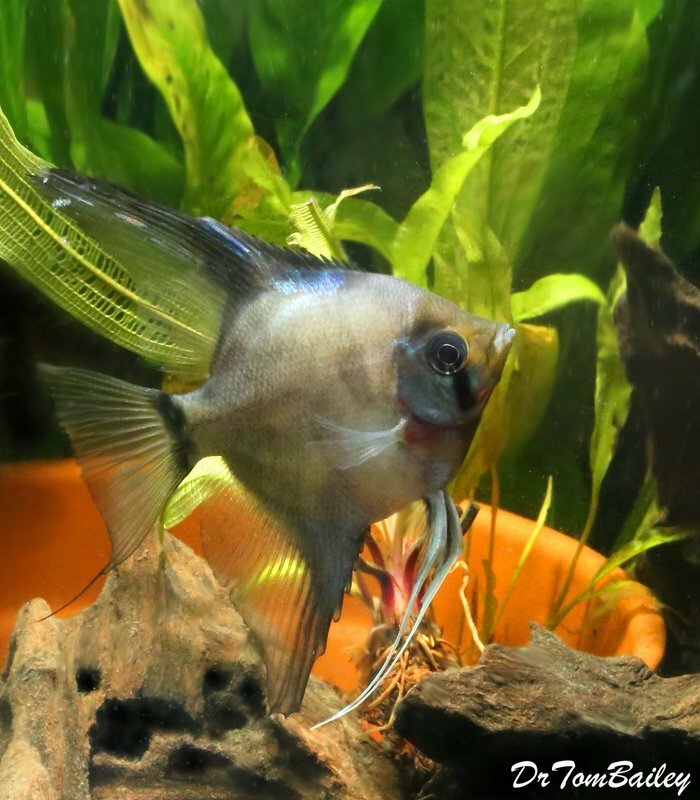 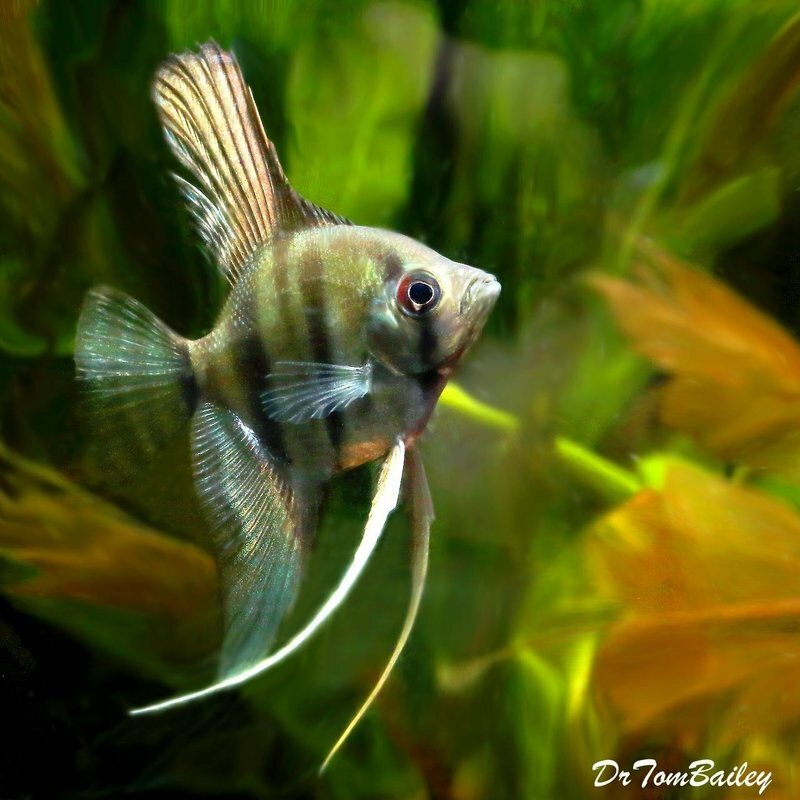 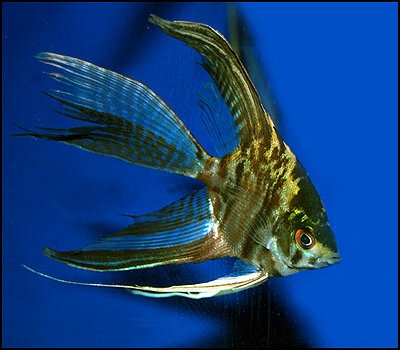 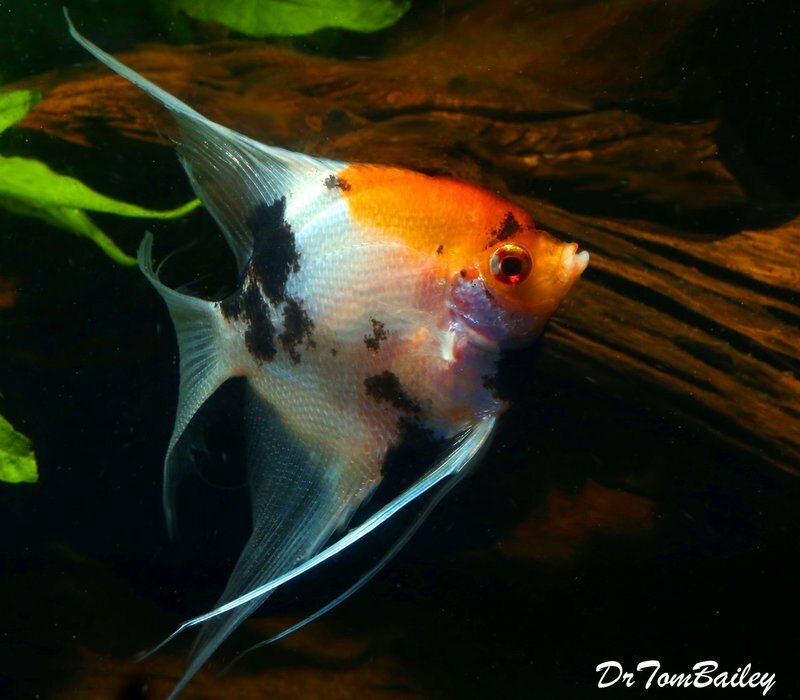 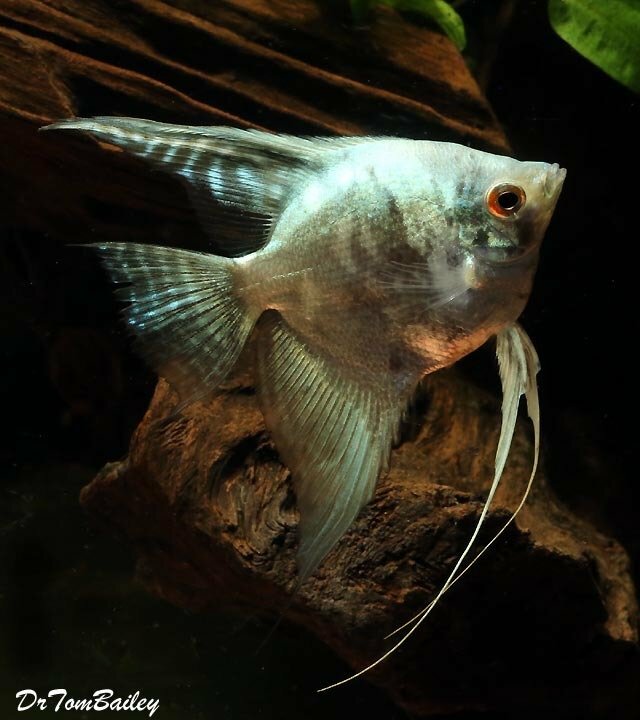 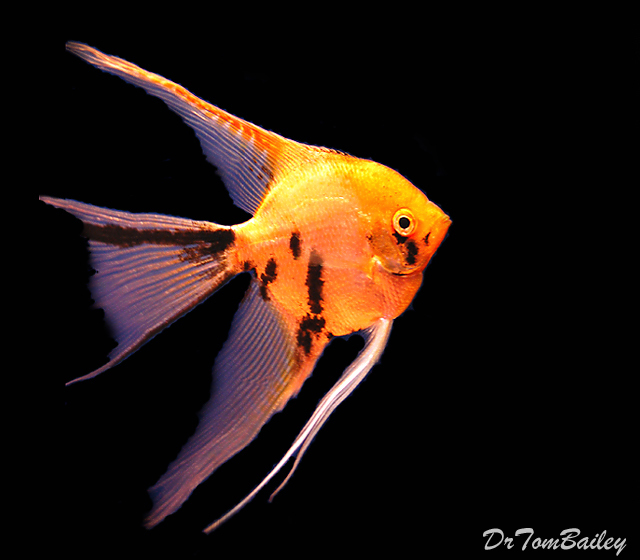 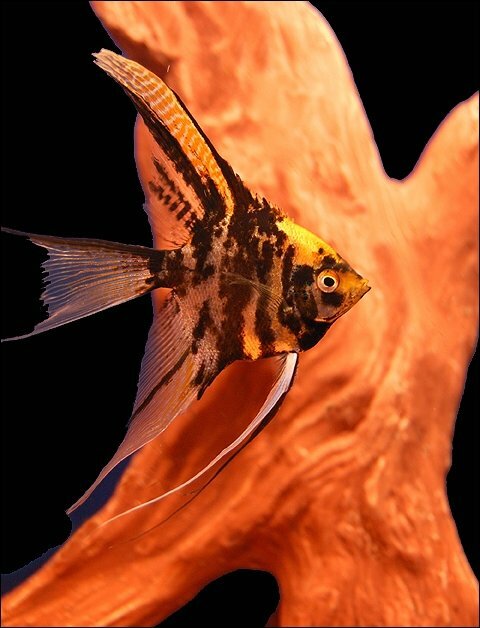 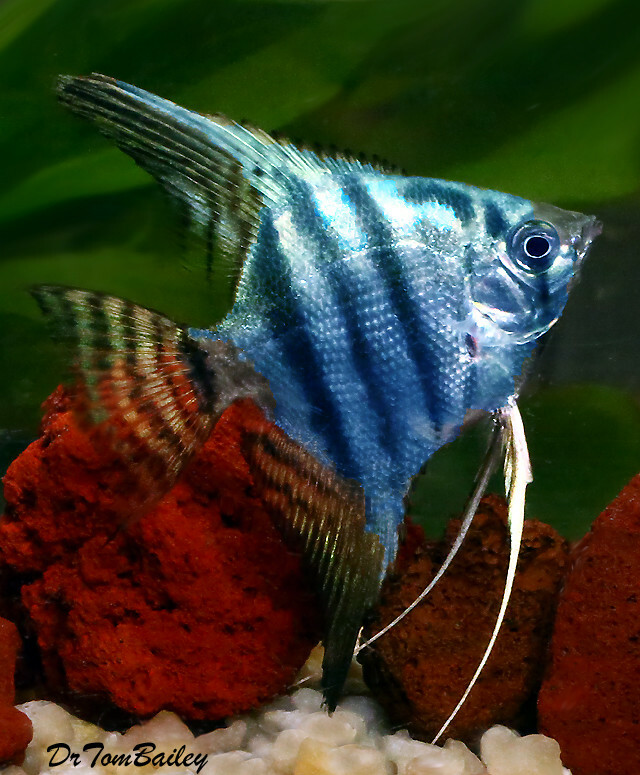 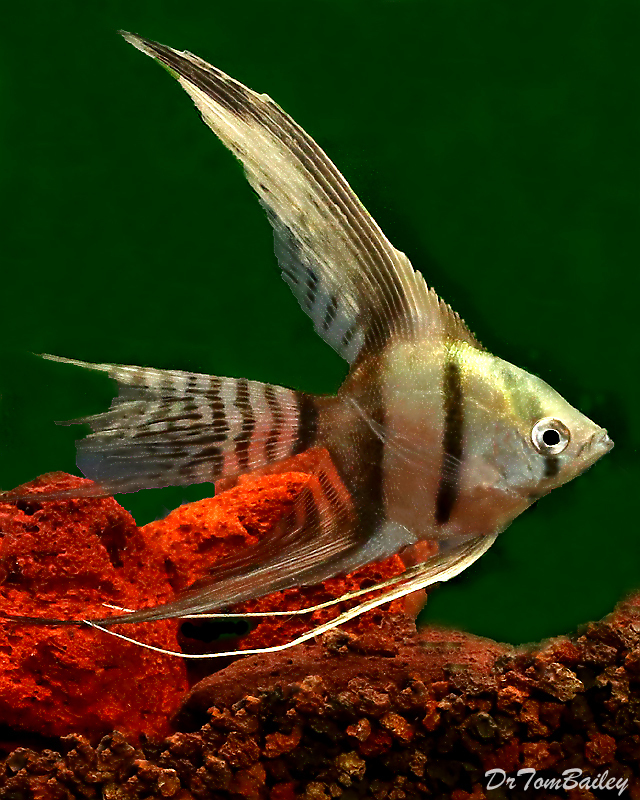 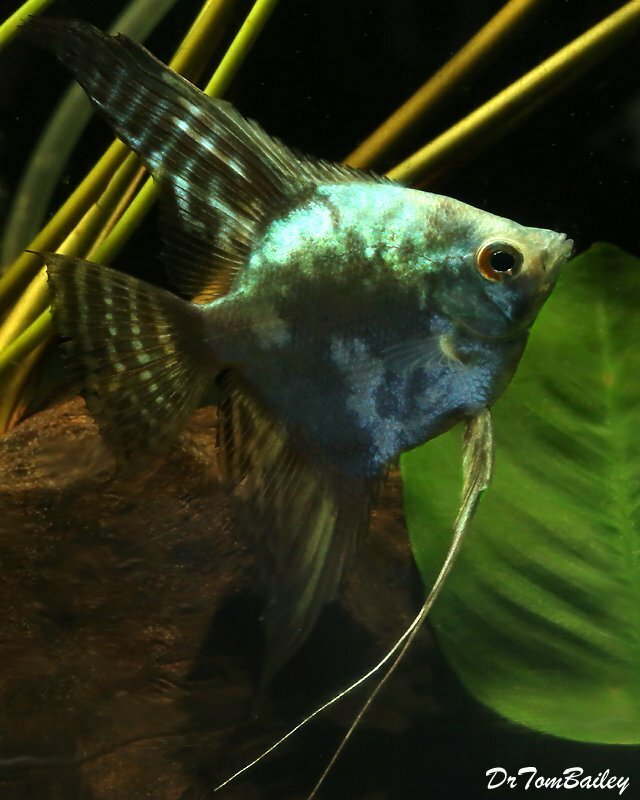 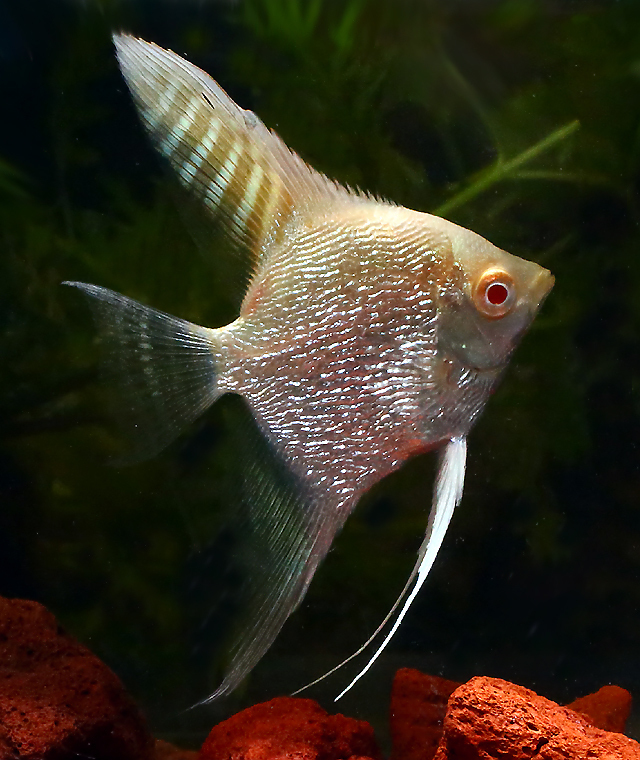 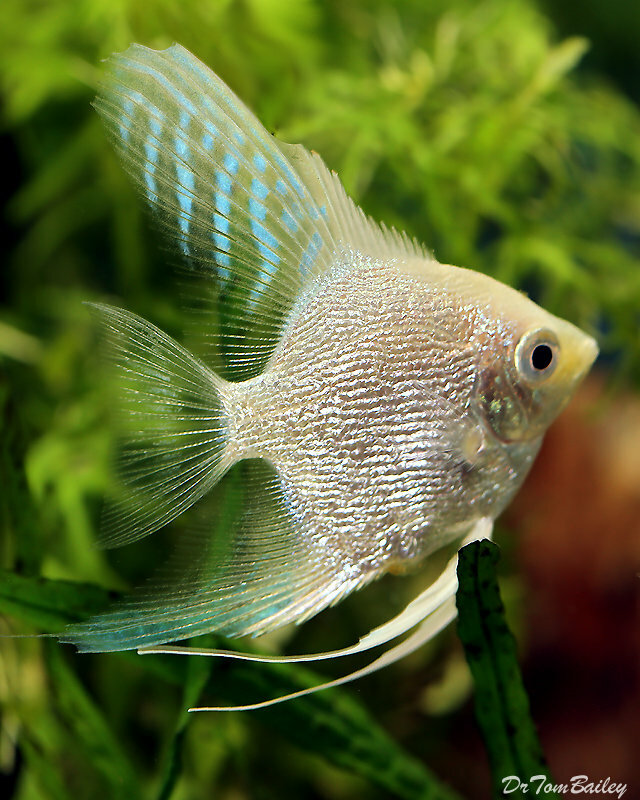 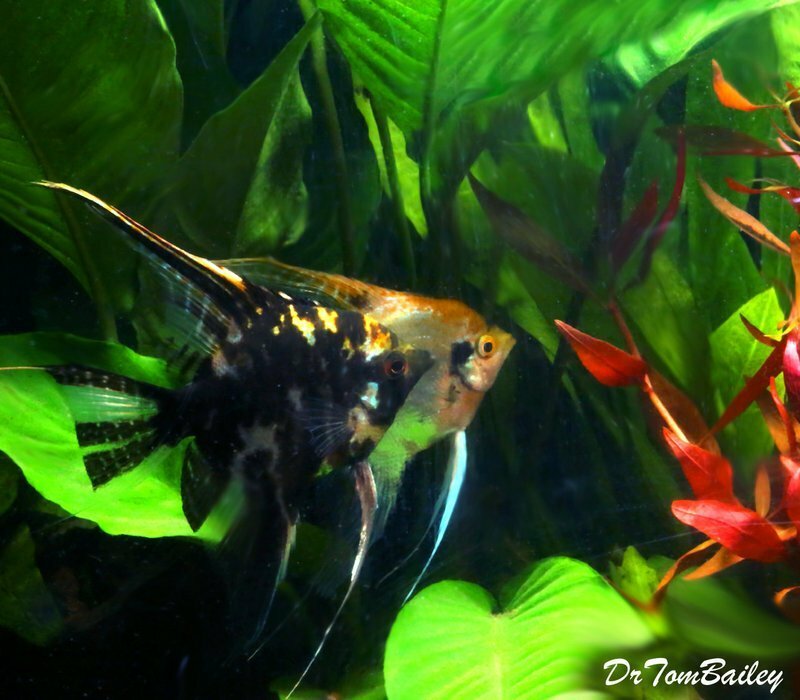 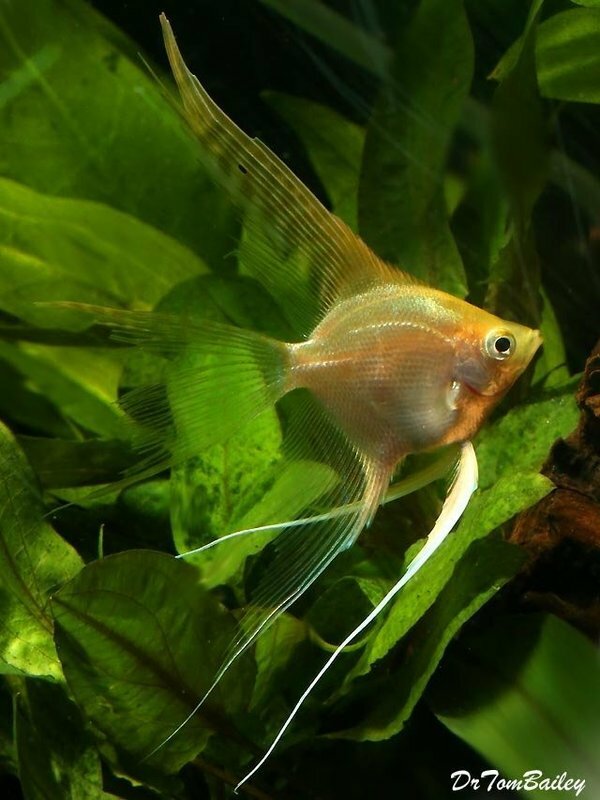 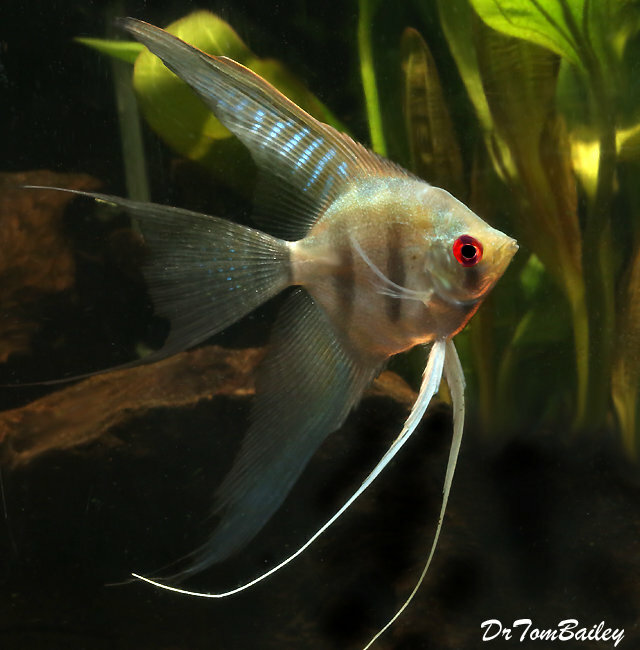 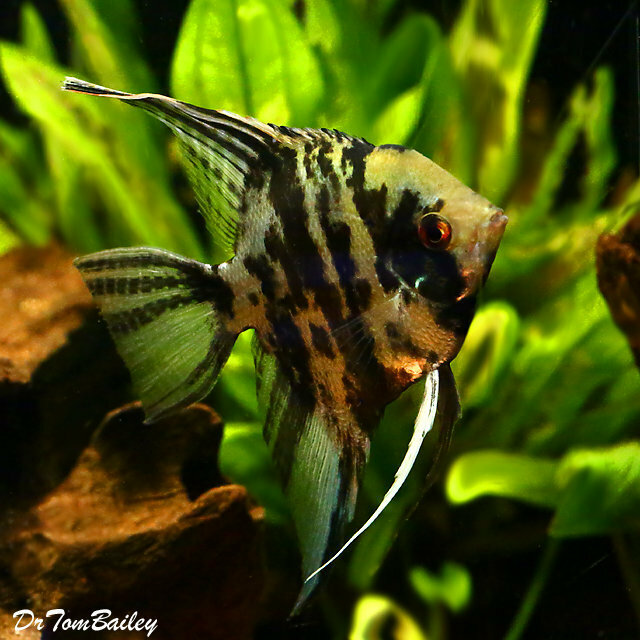 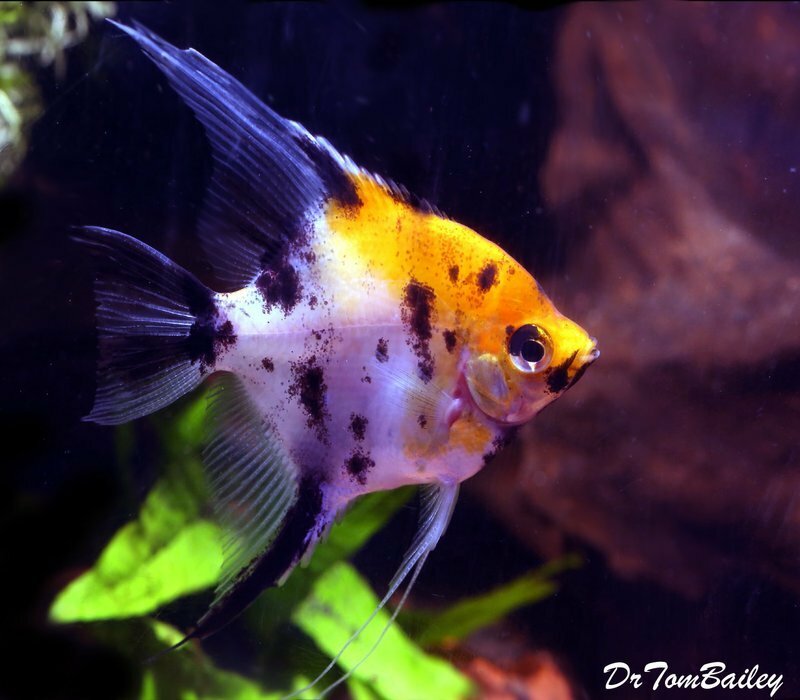 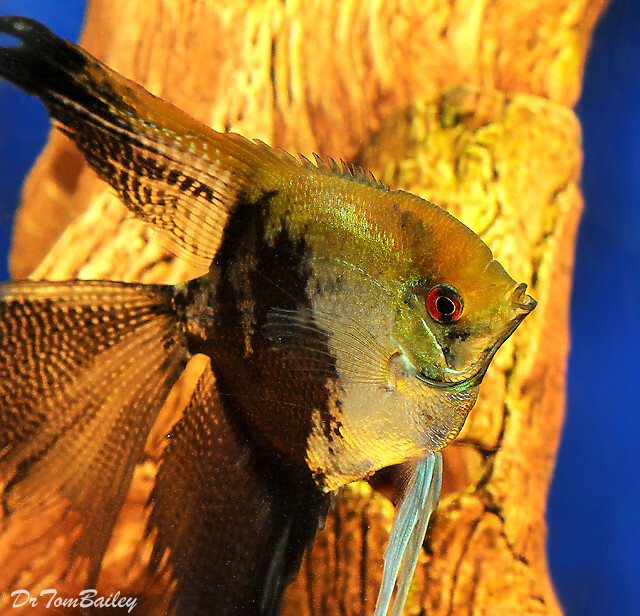 For a long-long time Angelfish have been one of the most popular aquarium fish. 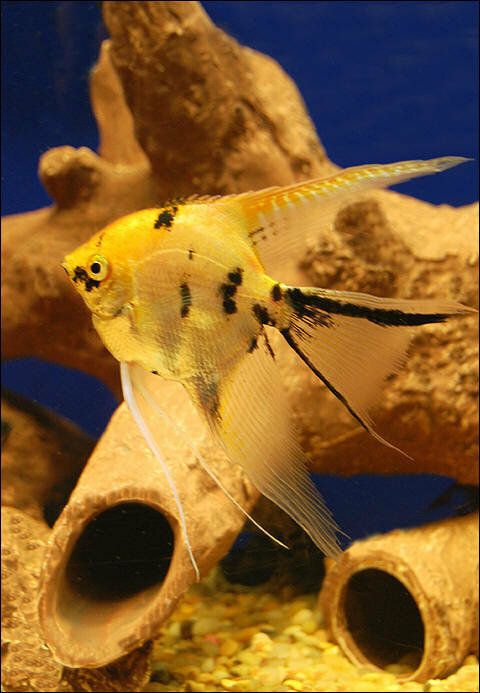 They have a unique shape and behavior. 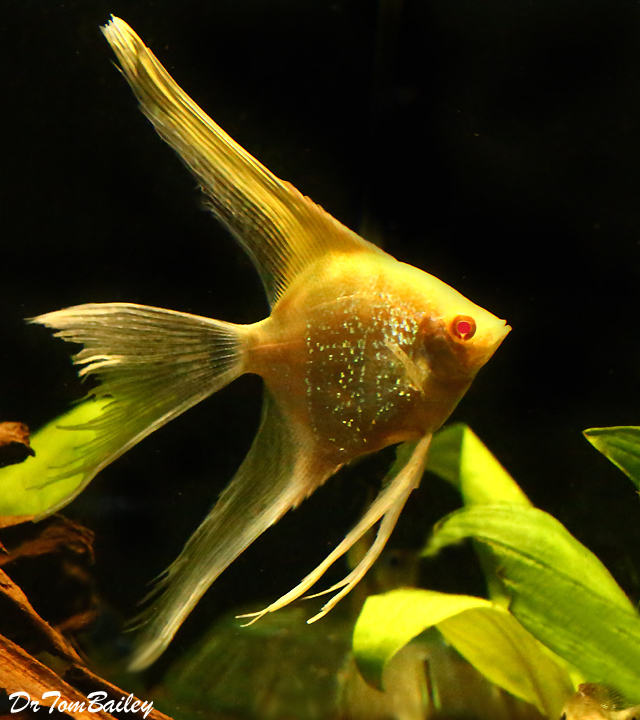 They're very good parents, tending their eggs, and protecting their babies. 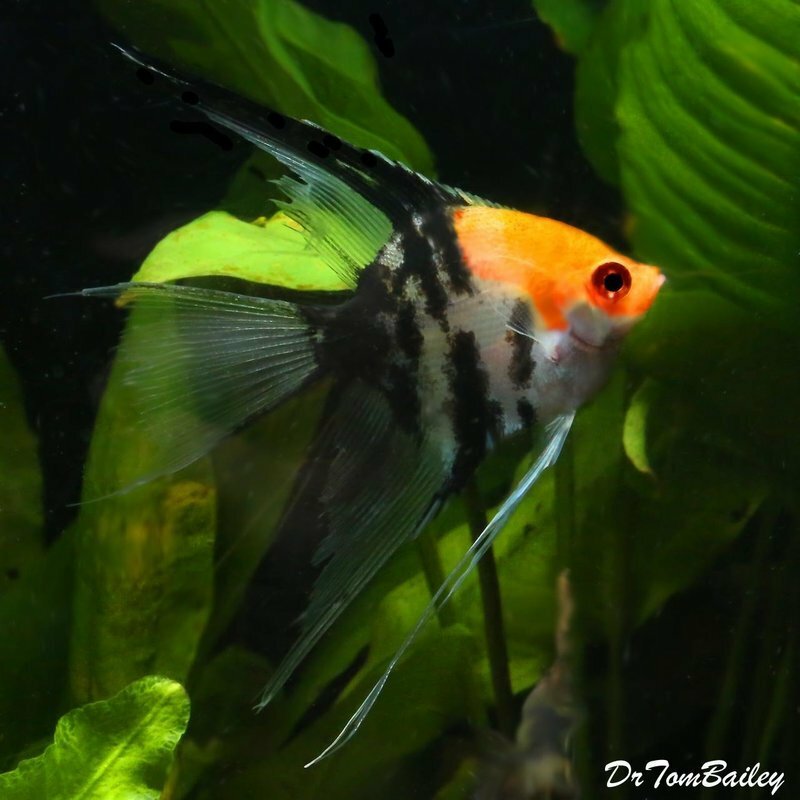 They eat flakes when small and pellets when bigger. 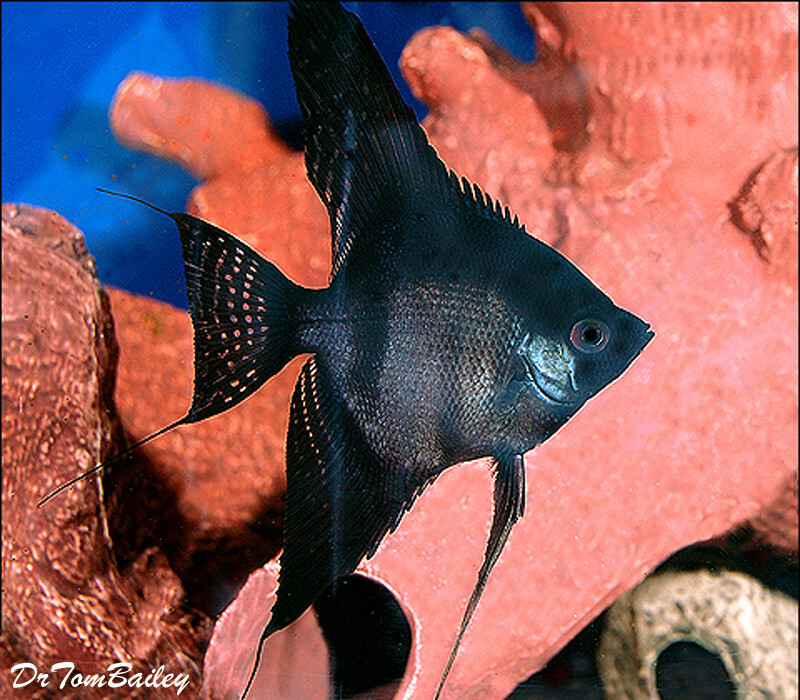 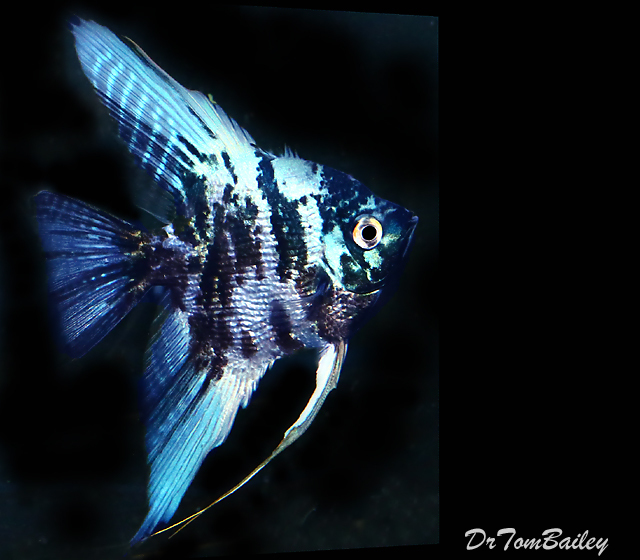 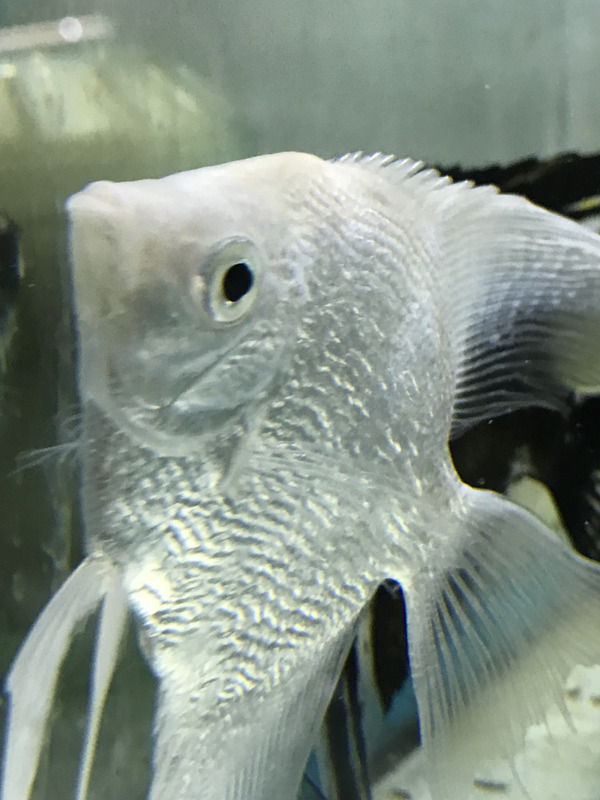 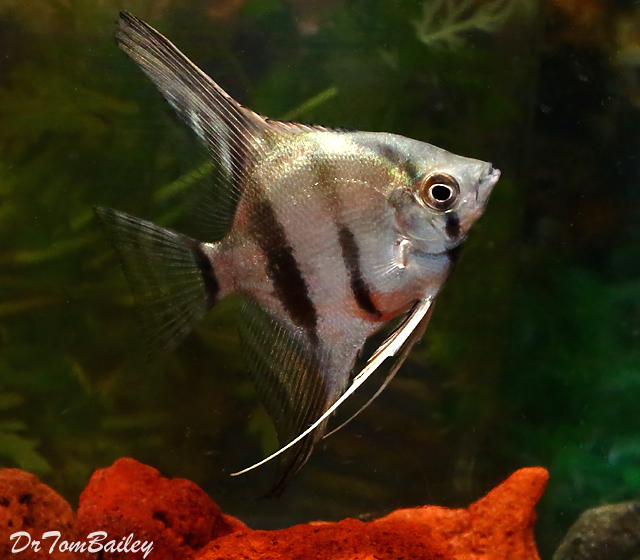 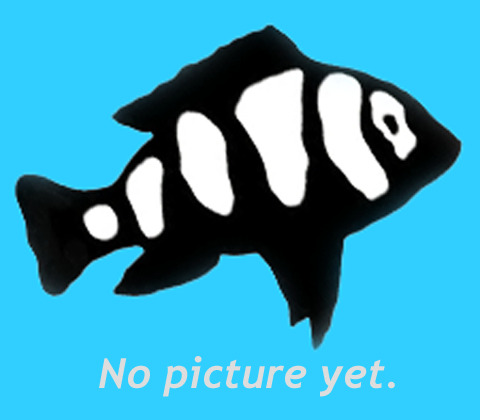 Premium Half-Black Veil Angelfish, 2.5" to 3" tall, Nice thick bodies!